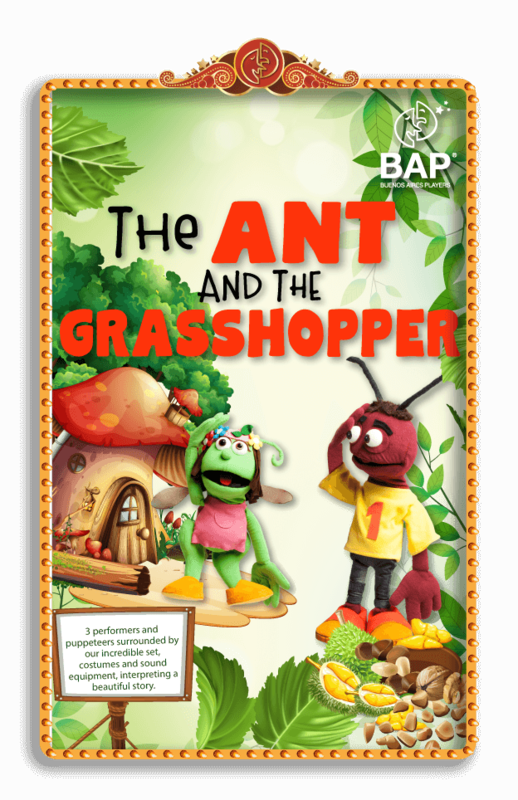 Andy the Ant, Gwen the Grasshopper and Cody the Caterpillar all live in the same forest. Andy the Ant knows winter will be there soon and that it is best to prepare; Gwen the Grasshopper and Cody the Caterpillar, however, believe there is plenty of time to get ready before cold weather arrives. As Gwen and Cody only want to have fun, when spring arrives, they play with the flowers. Andy, meanwhile, builds his house. 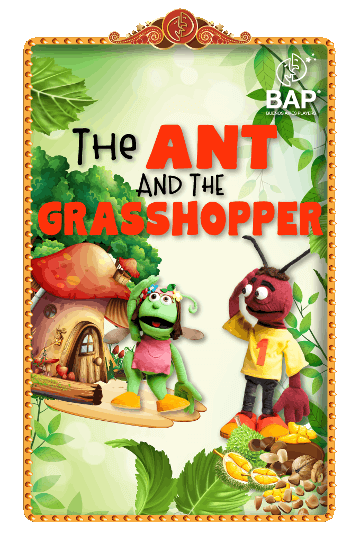 In the summer, while Andy the Ant is collecting fruit for the winter, Gwen the Grasshopper and Cody the Caterpillar go swimming in the lake. Later in the autumn, Andy collects wood to make fire. Gwen just wants to play with the leaves and enjoy, but Cody starts to worry a little. When they finally decide to work, there is not enough time. What will happen to them in winter? Will Gwen and Cody learn a lesson? Join us in this traditional Aesop fable - with a twist - to reflect on effort, fun and friendship. How to enjoy this play?